RAF Cranwell visit January 2015 - Royal Observer Corps Association This website was set up in October 2012 and is the new official site for the Royal Observer Corps Association. 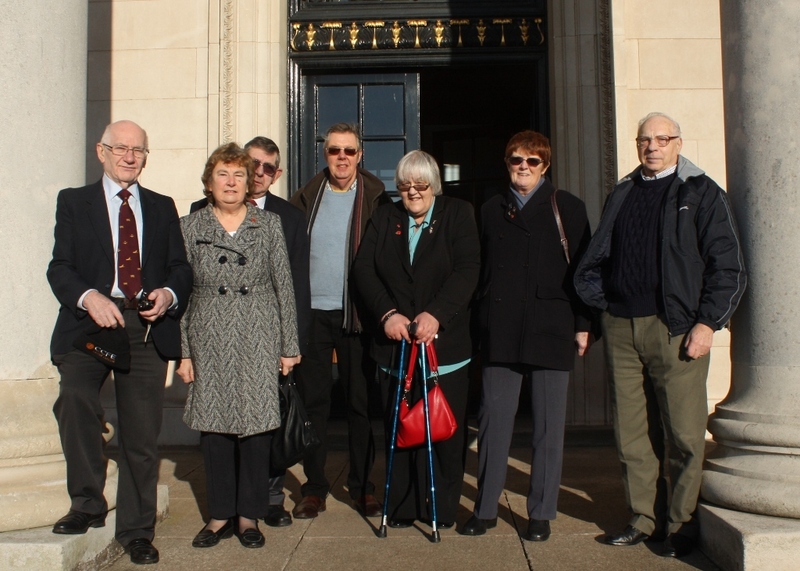 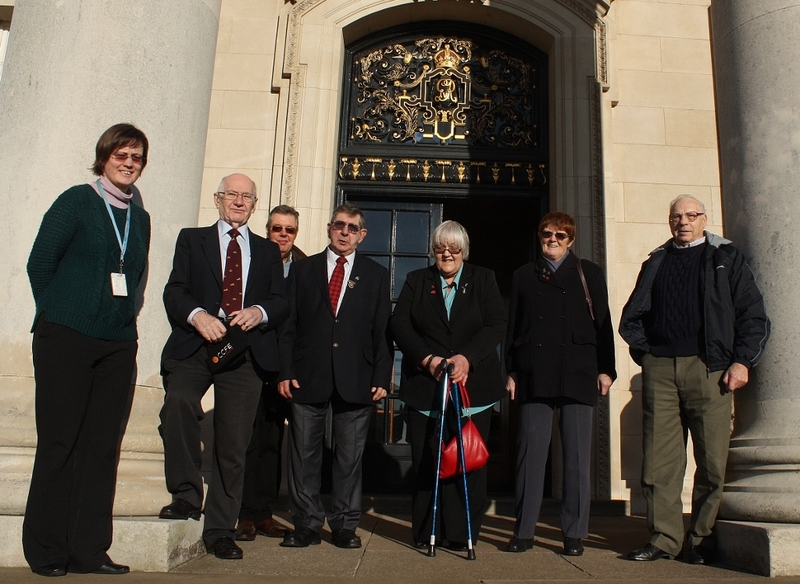 The day dawned cold but bright as I joined a small band of ROCA members on the steps of the RAF College, at the entrance to College Hall and the Rotunda designed by architect James West. 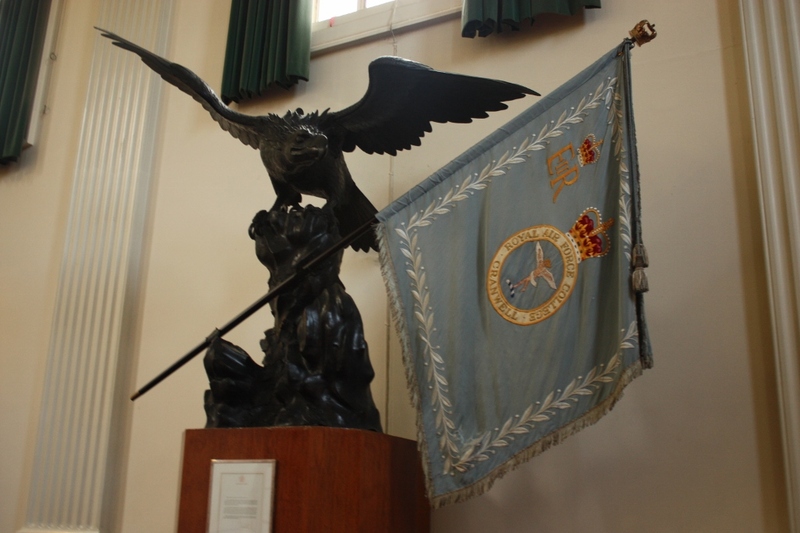 The highlight of the tour for us would be of course to view the ROC Banner hanging in the Rotunda alongside the RAF Squadron Standards. 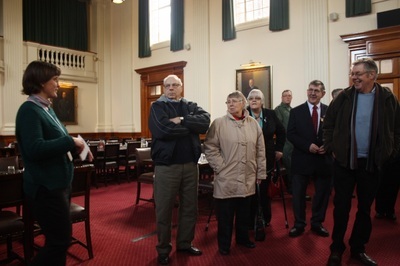 Our guide Hazel Crozier, assisted by Flt Sgt Bob Moreton, soon reminded us that there is so much more to see and learn of the College history its characters and artifacts. 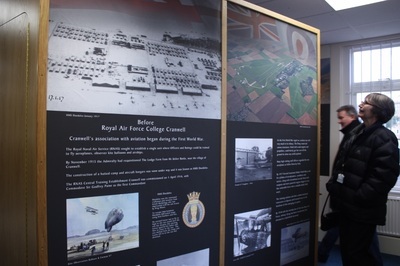 It was an appropriate day for our visit for it was on this night of 19th 20th January 1915, 100 years ago, the first Zeppelin raid on Great Yarmouth and Humberside occurred. 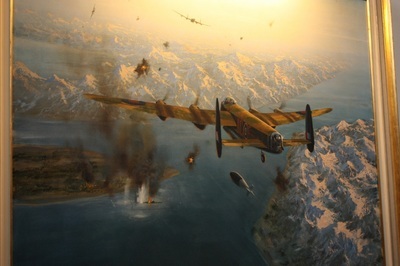 Following which there was the call for some sort of air defence system to be set up. 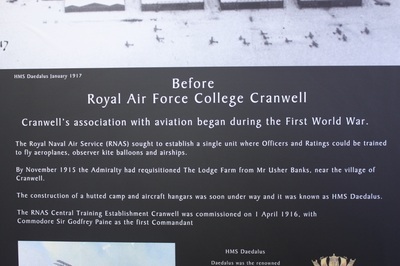 This led to General Smuts involvement not only in the development of RAF Cranwell but importantly for us his subsequent appointment of Major General Ashmore who developed the Metropolitan Observation Service and in 1917, the London Air Defence Area (LADA) the world’s first integrated air defence system. 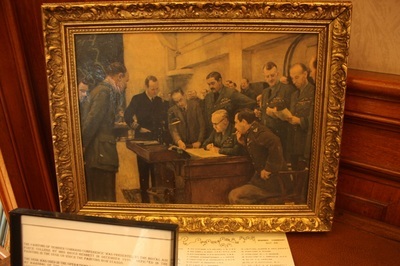 We all know this ultimately led to the formation of the Observer Corps in 1925 under the leadership of Ashmore. 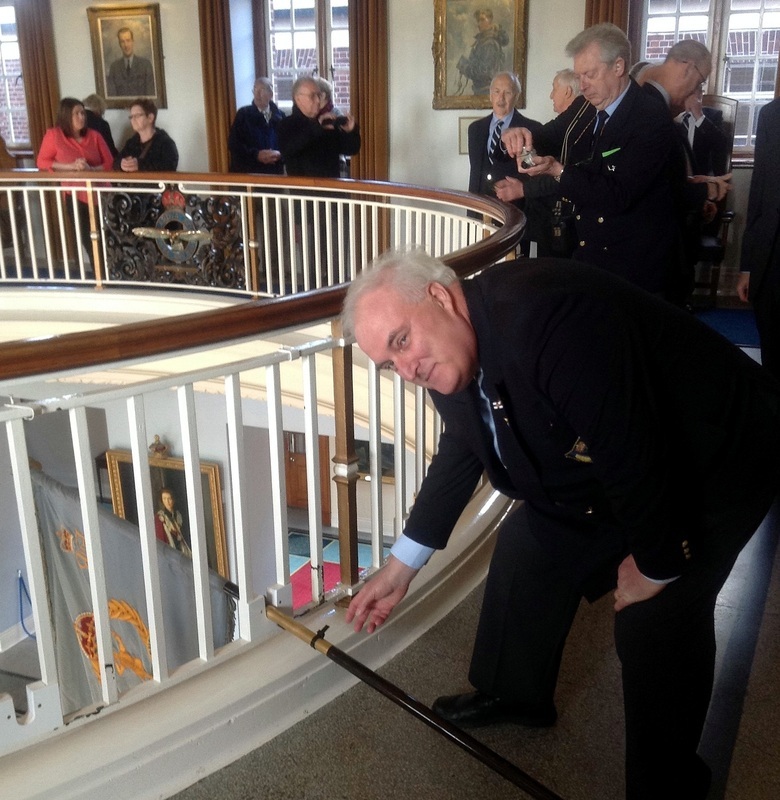 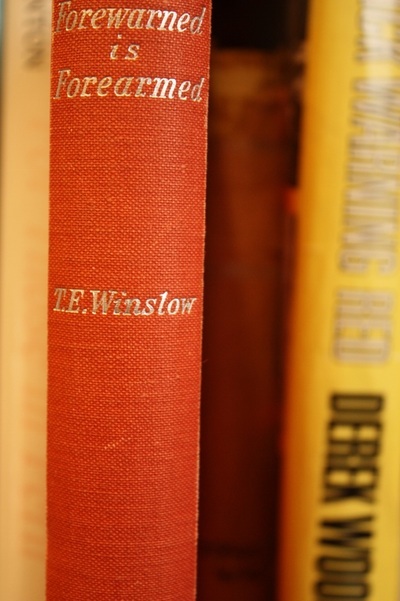 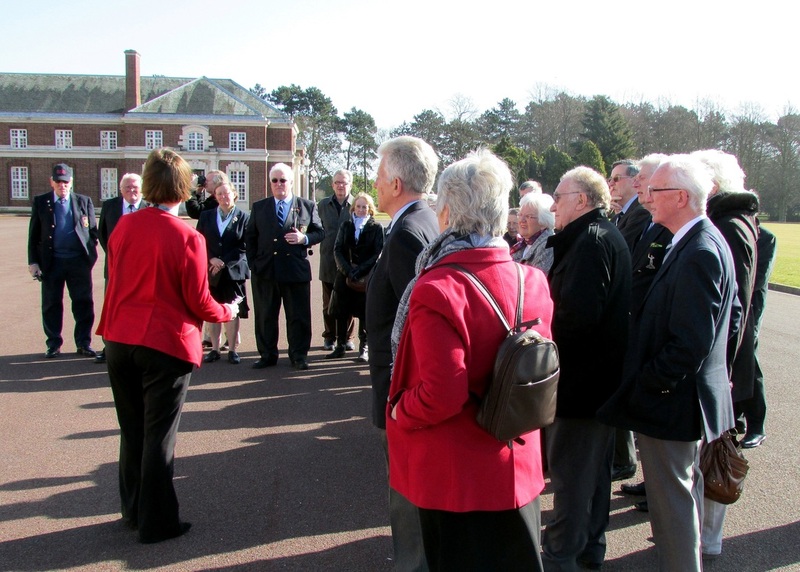 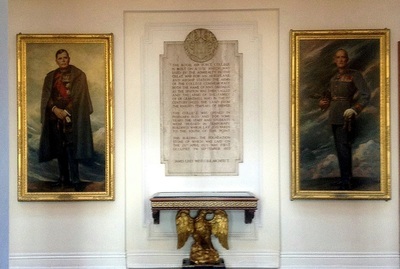 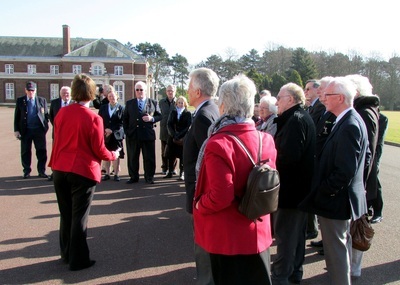 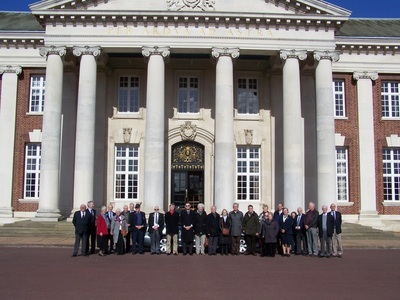 1915 was also significant for the founding of Cranwell as a training establishment. In 1915 the RNAS identified the 2,500 acres of farmland west of Cranwell village as an ideal camp for a single unit to train officers and ratings to fly aeroplanes, airships and balloons. 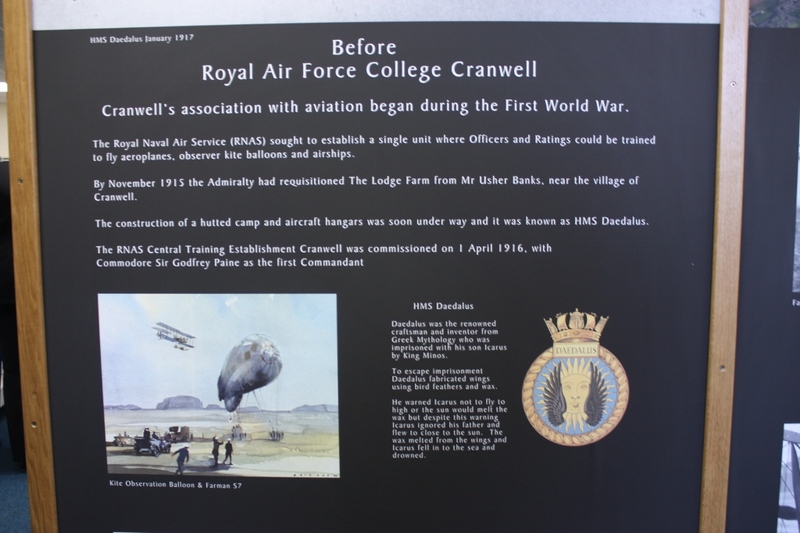 The camp opened on 1st April 1916 as the RNAS Central Training Establishment that became known as HMS Daedalus. 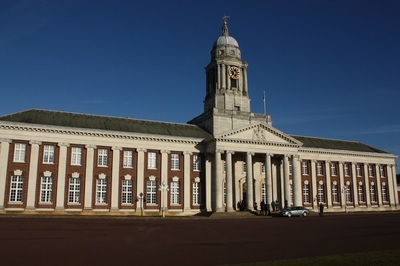 Following the formation of the RAF in 1918 Trenchard recognised the need for Cranwell to become the RAF training College. 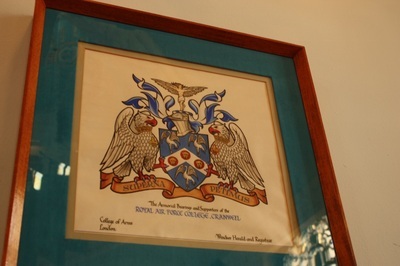 Thus on 5th February 1920 it became the first military Air Academy in the world. 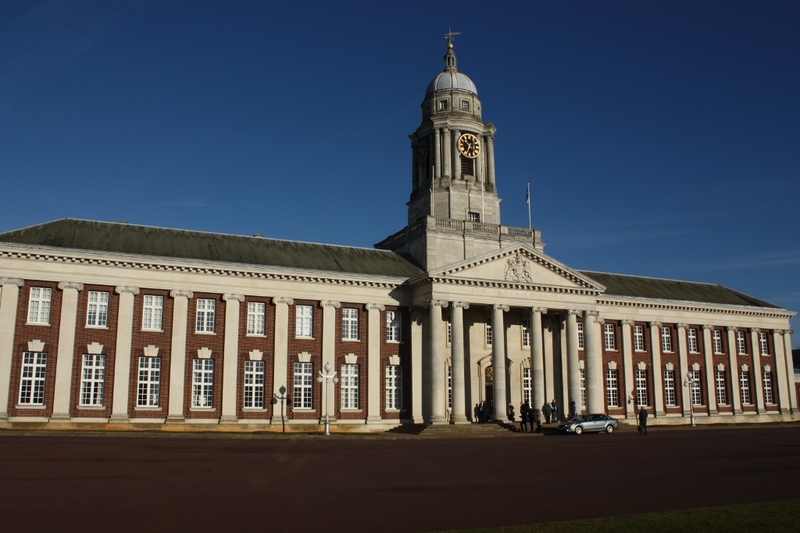 To secure the plan and the allocated ﻿funding the foundation stone for a permanent college was laid by Lady Maud Hoare on 29th April 1929. It was not until 11th October 1934 that the permanent college buildings replaced the wartime naval huts and was officially opened by the Prince of Wales. 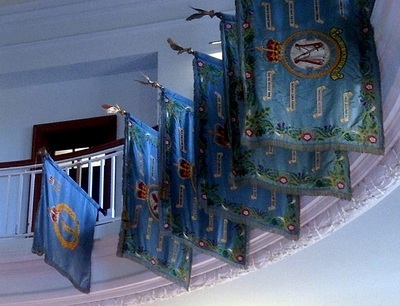 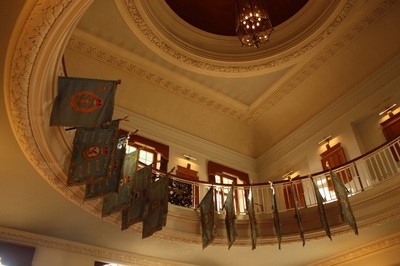 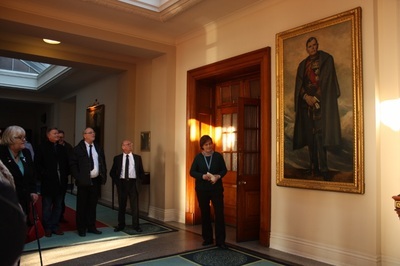 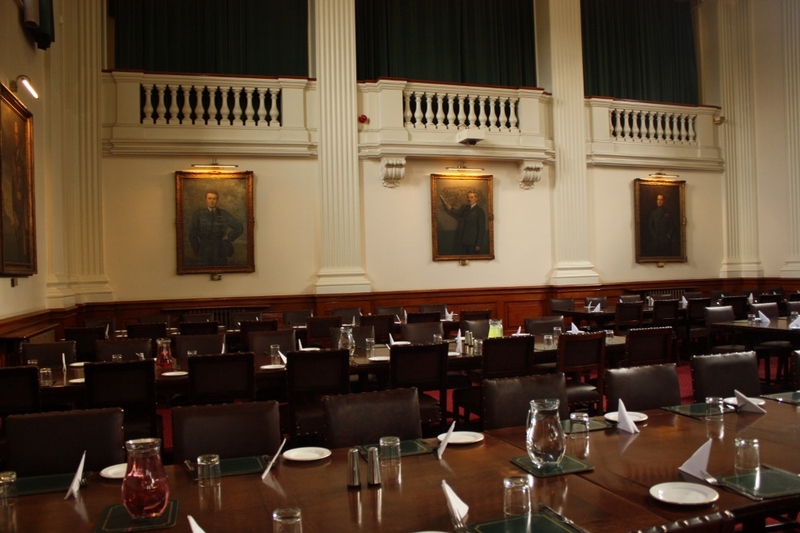 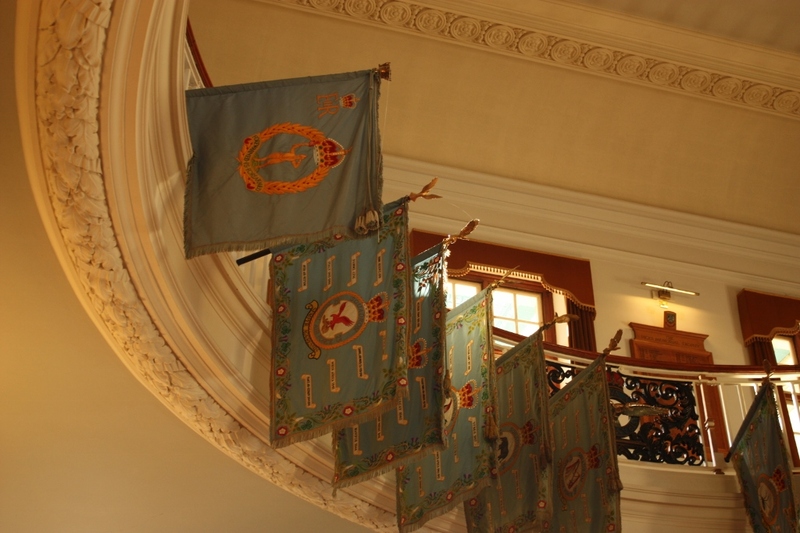 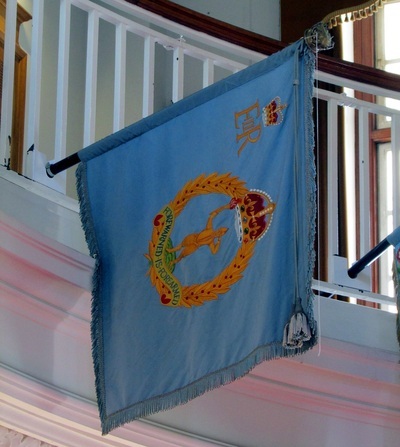 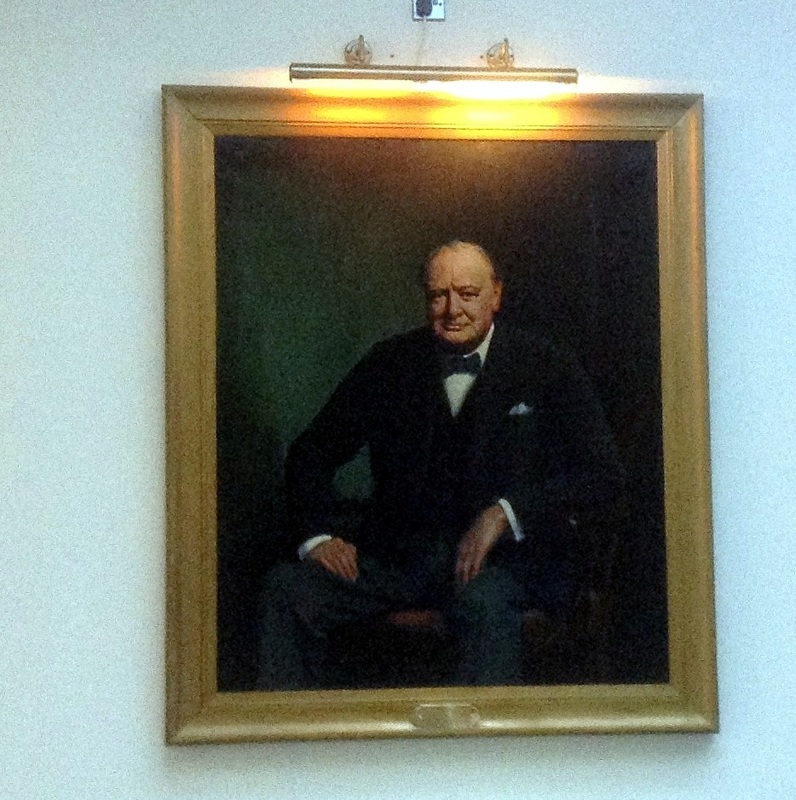 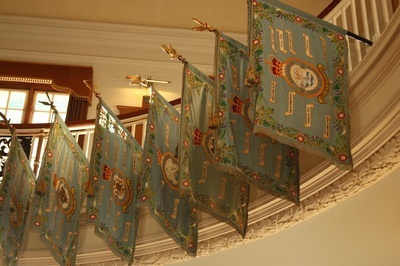 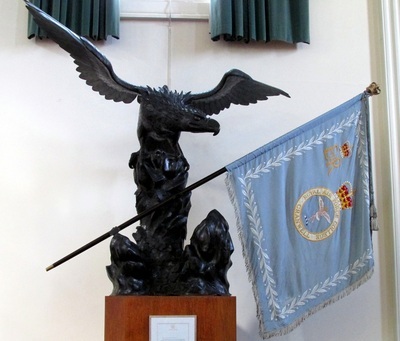 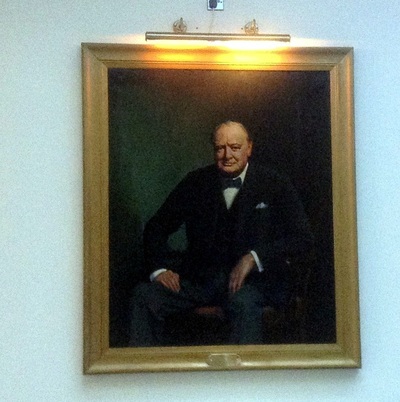 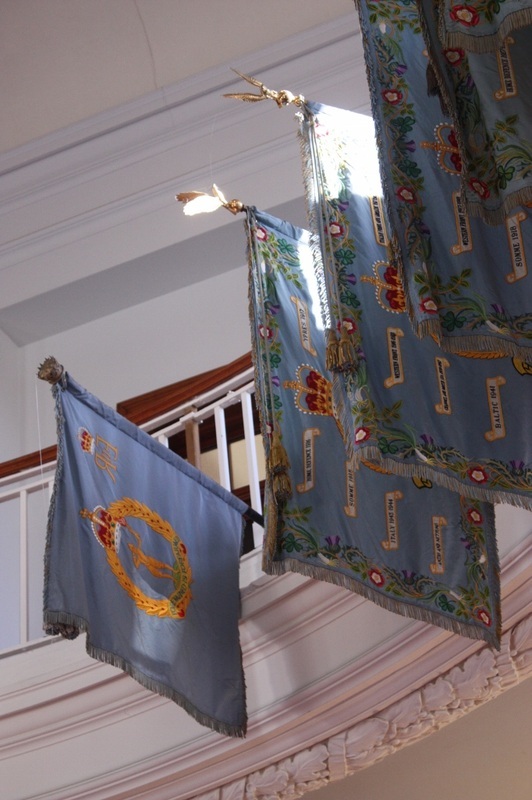 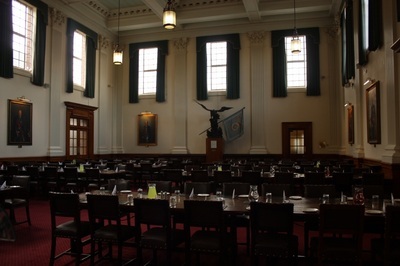 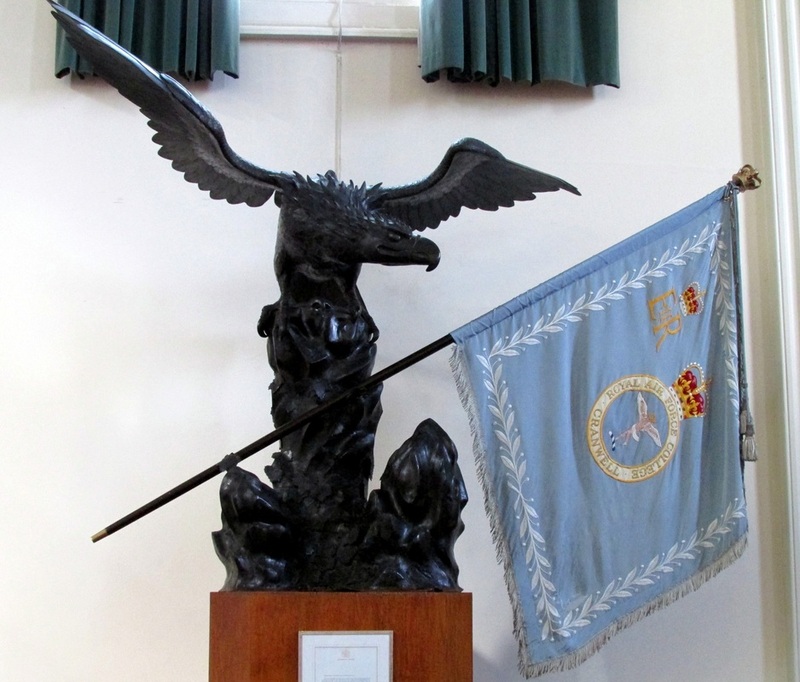 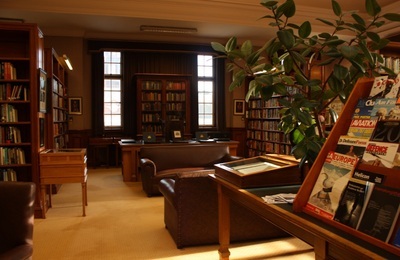 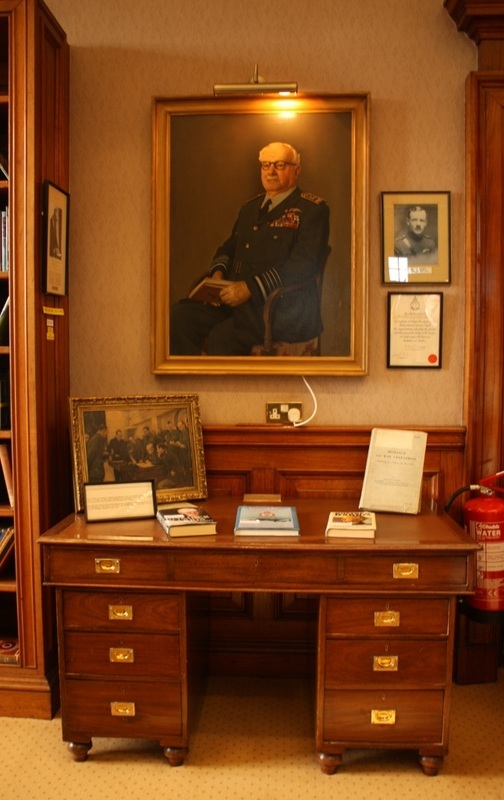 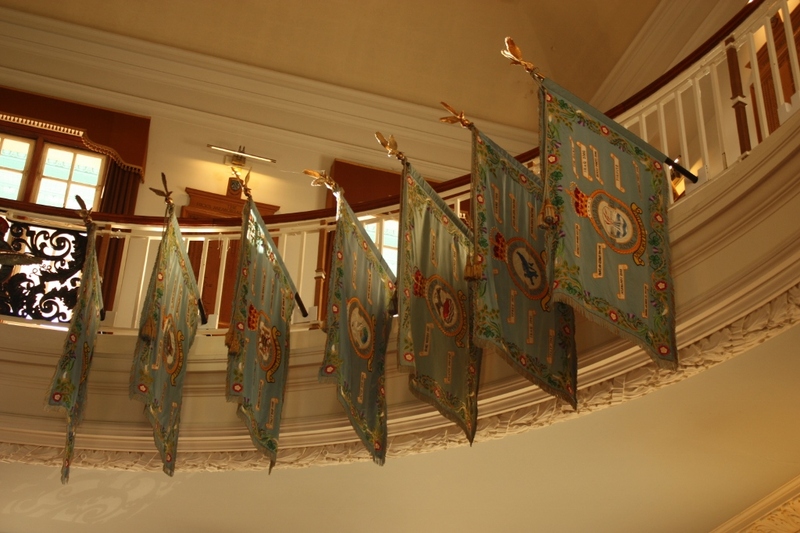 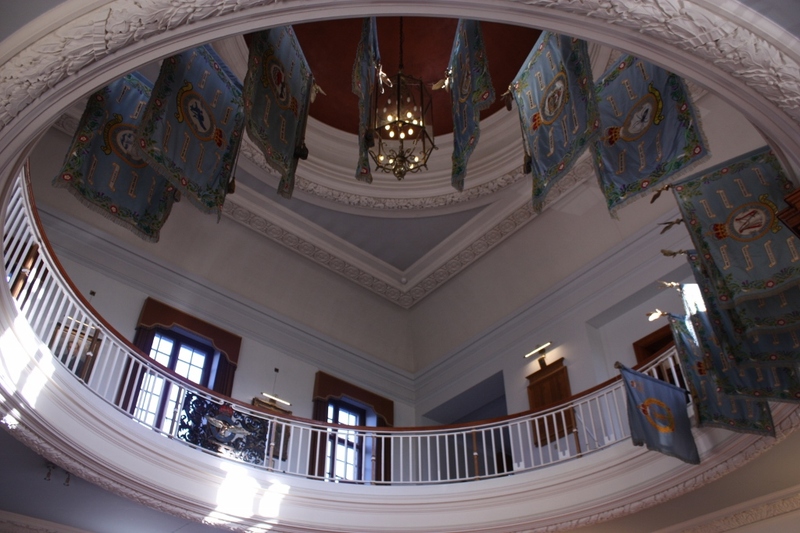 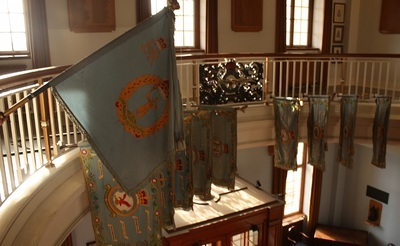 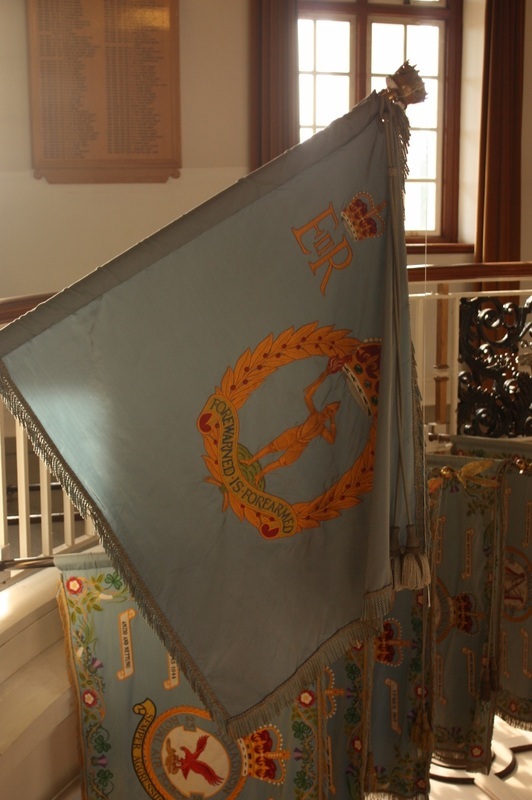 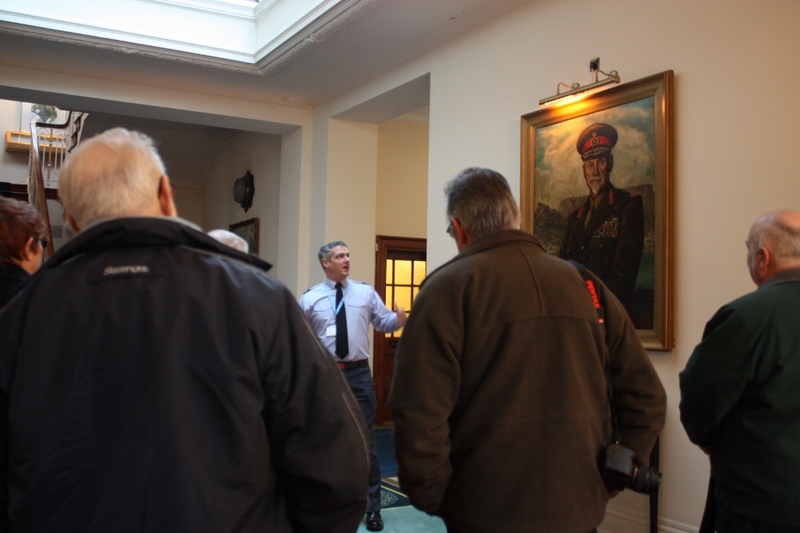 In the dining room we viewed the current RAF College Colour, the fifth to be presented and learn more about some of the famous sons who had passed through the College. Moving to the library we passed several unique paintings, artefacts and memorabilia recalling special events and lives connected with the RAFC. 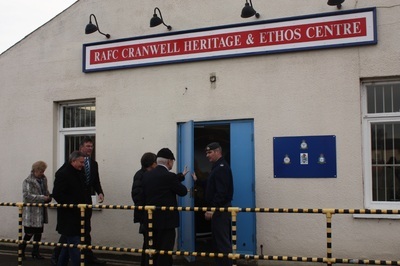 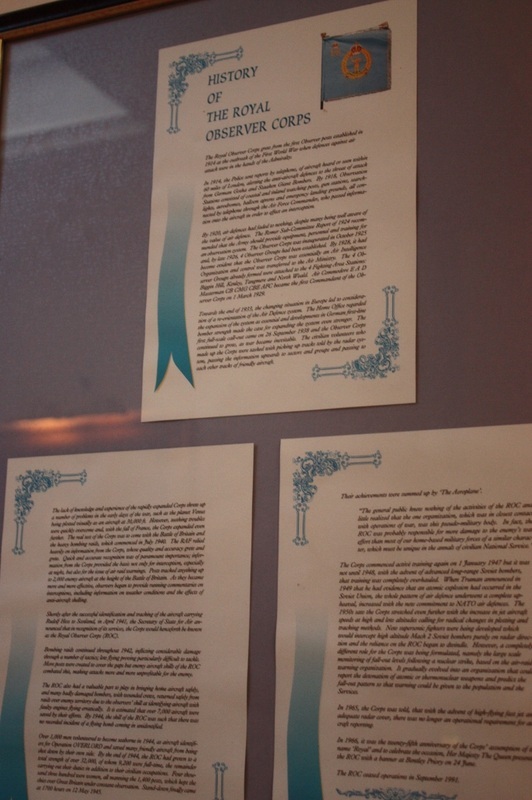 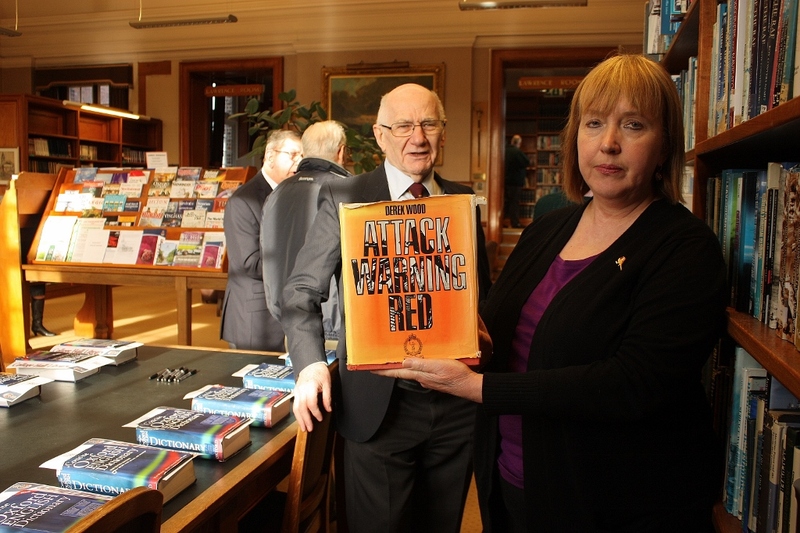 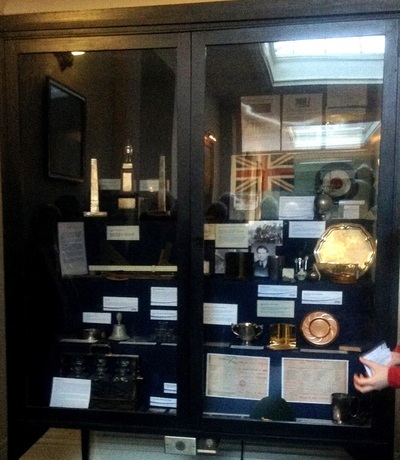 We had an unexpected bonus to our visit which ended in the newly opened RAFC History & Ethos Museum. 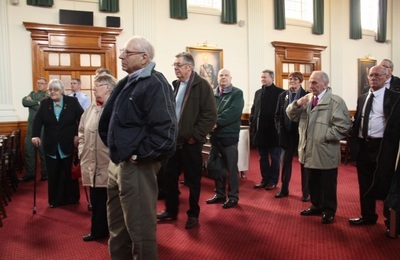 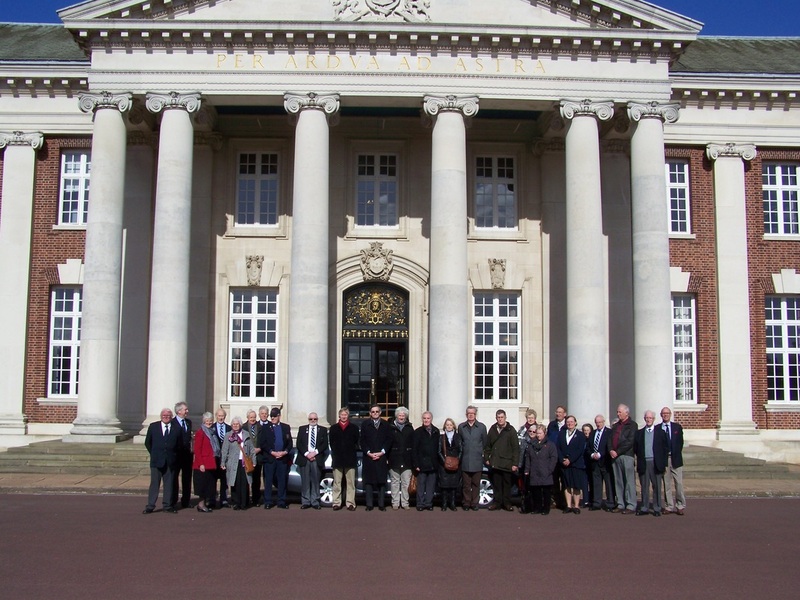 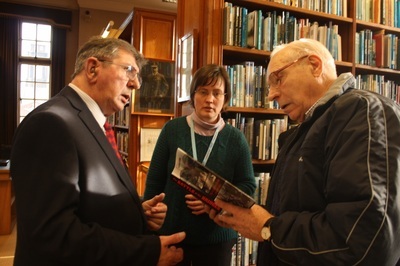 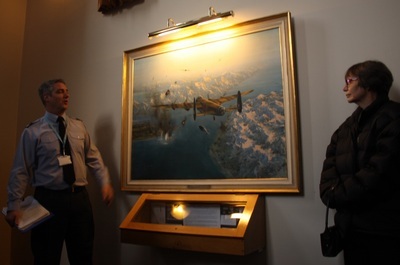 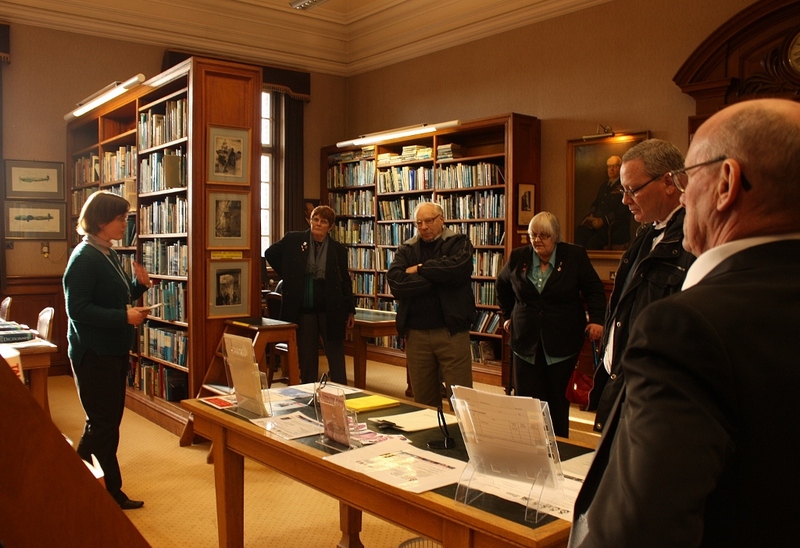 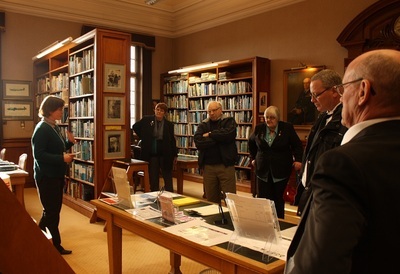 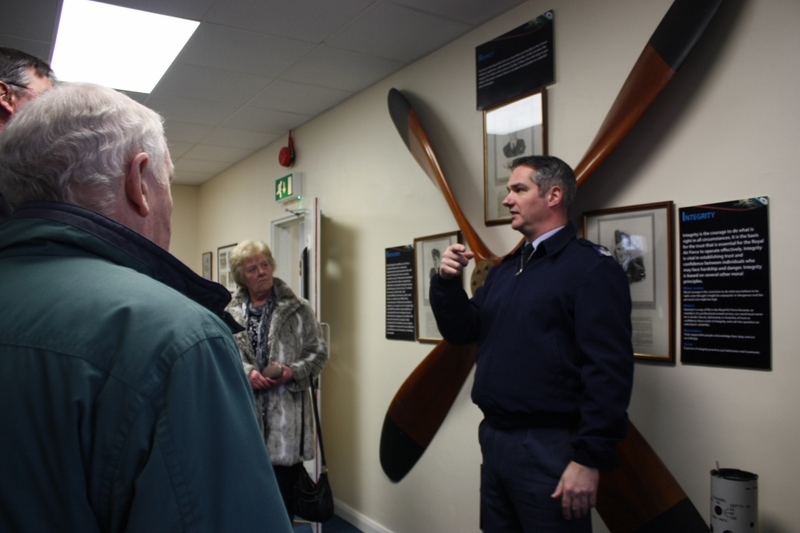 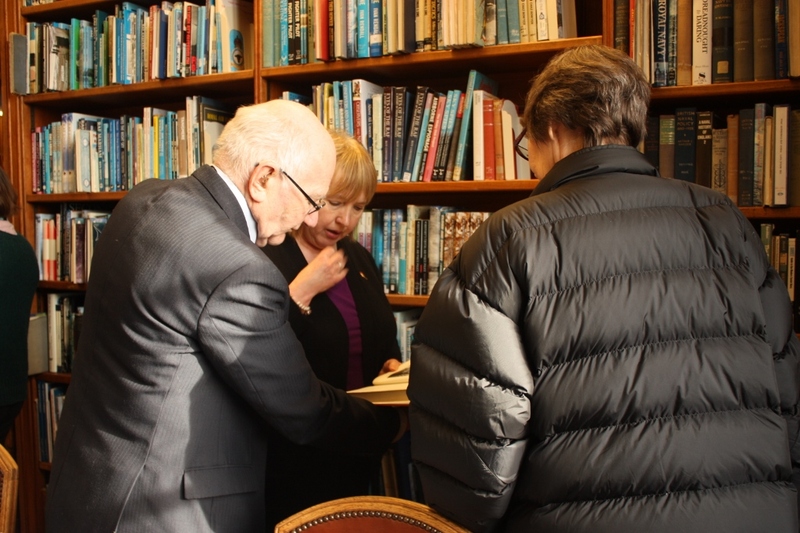 Especially opened for us we were able to view photographs and the collections assembled by volunteers to recall the base’s history, squadrons, aircraft and changing roles during the first 100 years of Cranwells’ association with aviation. NOTE: Click on images for larger view, scroll left or right to view.